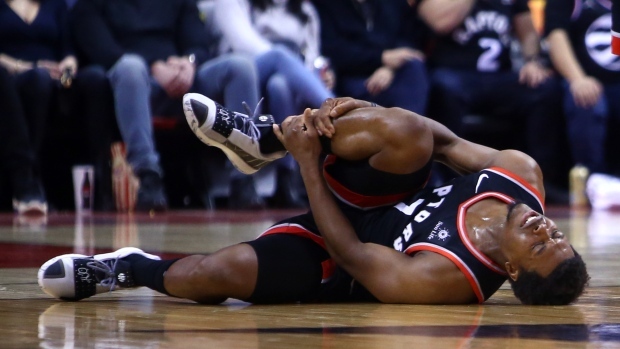 Toronto Raptors guard Kyle Lowry will not play Wednesday against the Oklahoma City Thunder as he continues to recover from a right ankle sprain. Kyle Lowry (right ankle sprain) will not play tonight in OKC. Not a surprise. Fortunately, it seems like he dodged a bullet and shouldn't be out long. Lowry's ankle was injured in the Raptors' win over the New York Knicks Monday when Knicks centre Mitchell Robinson knocked him over from behind in the third quarter of the Raptors.